I think I’ve been living in denial. I mean, sure, there were signs. I can hardly buy coffee without making some inappropriate eye contact. Occasionally I find a crumpled paper bag on my person, stained with sweet remnants of the time we shared. At times, there are inexplicable spikes in my blood sugar. I could continue to ignore the signs and live in blissful ignorance, if not for that moment a couple of weeks back. That moment snapped me out of my denial and made me come face to face with my deepest, darkest fear – I’m the cookie monster. 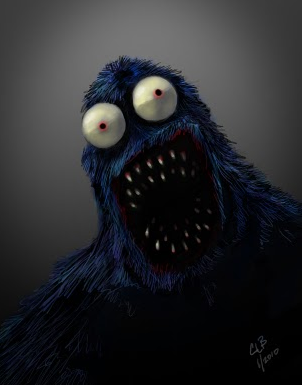 Most of you know by now that the lovable, jolly, grammar-challenged blue muppet from Sesame Street is an inaccurate depiction of the monster that lurks among us. You know this, but other details of its whereabouts were always curiously amiss. Where does this googly eyed furball disappear to for hours, days, sometimes weeks on end? And, then, I baked cookies. I brought them into my home, y’all. I didn’t even have the decency to go to a motel and binge discreetly. I made a dozen oatmeal coconut chocolate chip cookies on a Thursday. The plan was to bring them to the Halloween party I was attending that weekend. That plan would never come to fruition. In the following days, the telltale signs started to emerge. There were crumbs in the sheets. A bit of chocolate on my lips. My eyes started to glaze over. But, mostly, the disappearing cookies started to tip me off. I did the obvious and accused my husband, but he refused to accept any blame. I bought a few more ingredients, and I wordlessly made a second batch. I went full speed ahead and continued baking. 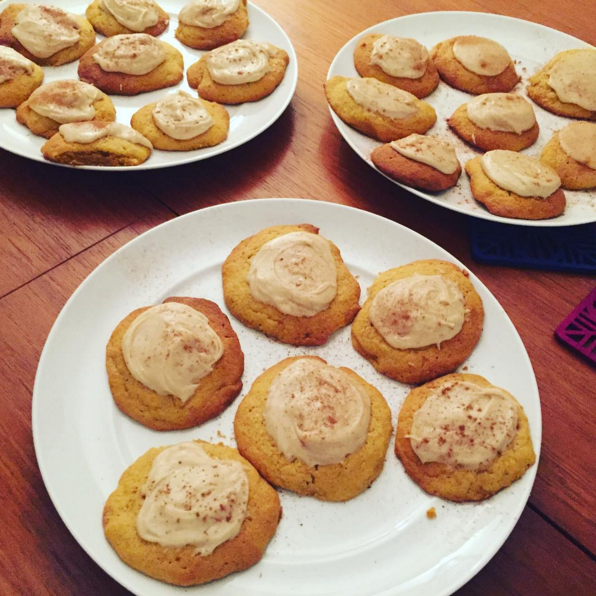 I made some pumpkin spice cookies, and the recipe produced about three dozen cookies. In total, I had about 50 cookies cooling in my apartment. As such, I hardly noticed when half a dozen went amiss. I fixed my husband with a hardened stare, wordlessly admonishing his lack of self control. I failed to look in the mirror. Miraculously, about 45 cookies made it to the party. I vaguely remember chain-eating a few while I was there, but I thought nothing of it. Everyone overeats at parties. After the party, though, I took home some leftovers. That’s when the madness truly began. It was gradual at first. Consensual. I’d see them sitting there all innocent while drinking my morning coffee, and I’d think, “You know what would go with this coffee? A cookie. A chocolate chip cookie would do juuuust fine with this coffee.” I’d eat one, wrongly assuming giving in would put an end to the cravings. Before quite realizing what was happening, a few casual cookies consumed before noon turned into an all-out-Diabetes-be-damned-binge. I plowed through all dozen or so cookies in less than two full days, you guys. It’s all a bit of a blur. When I finally came up for air, I had the sick realization of who I really am. 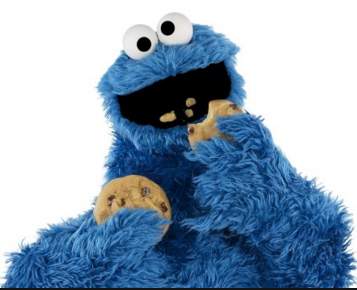 I’m the cookie monster, there’s no point in hiding it anymore. Pleased to meet you.